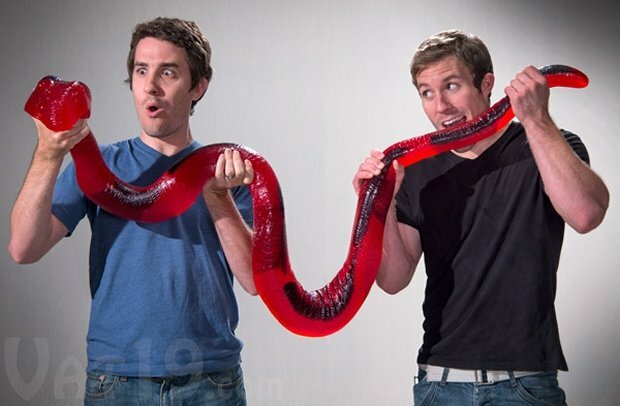 This is the dark and ridiculous side of the candy world. 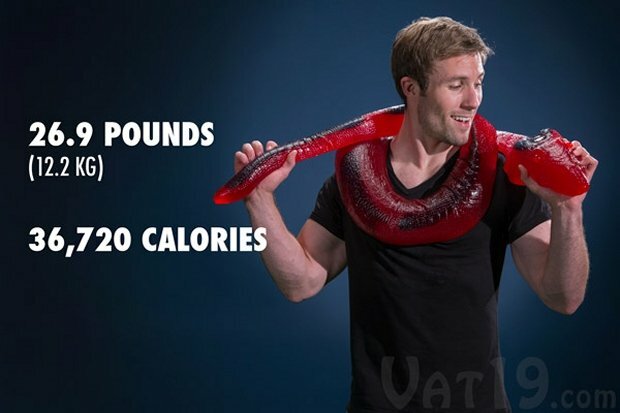 Yes, this massive 26 pound gummy python will squeeze you from the inside out, assuming you can get enough of it in your belly to do so. 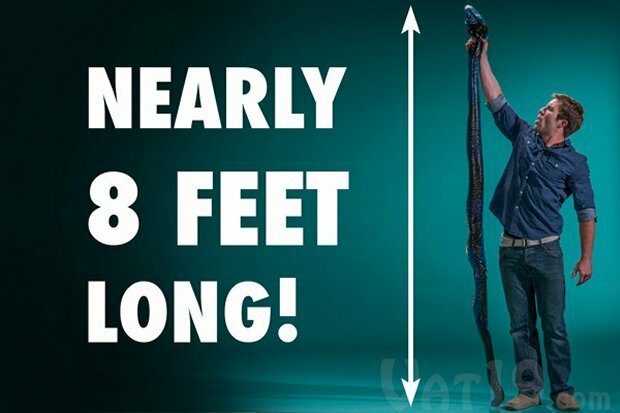 This $150 candy snake contains over 36,000 calories and is 8-feet-long. 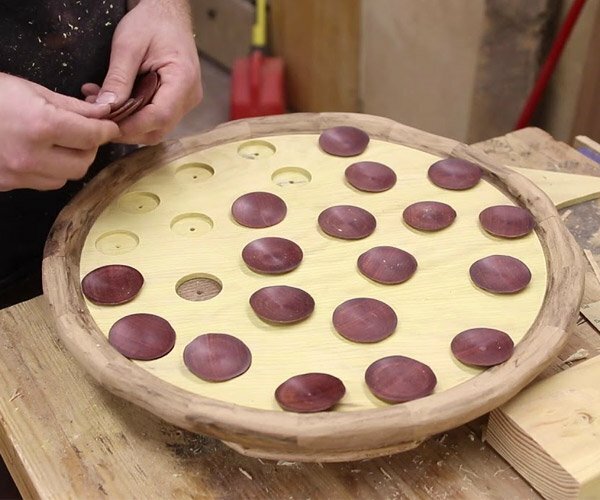 Is it food or is it art? I have no idea, but I wouldn’t try to swallow it all in one bite. It has some really nice details, like intricate eyes, blended coloring, ridged coils, and thousands of individually carved scales. 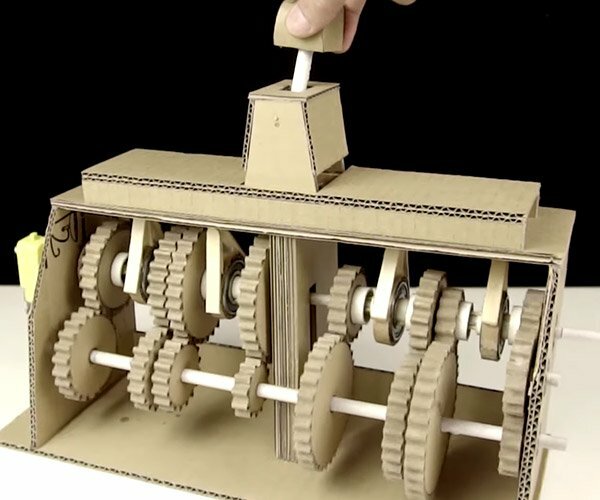 It is so detailed that I’m just hoping I don’t find a half digested gummy-rat in it’s belly.